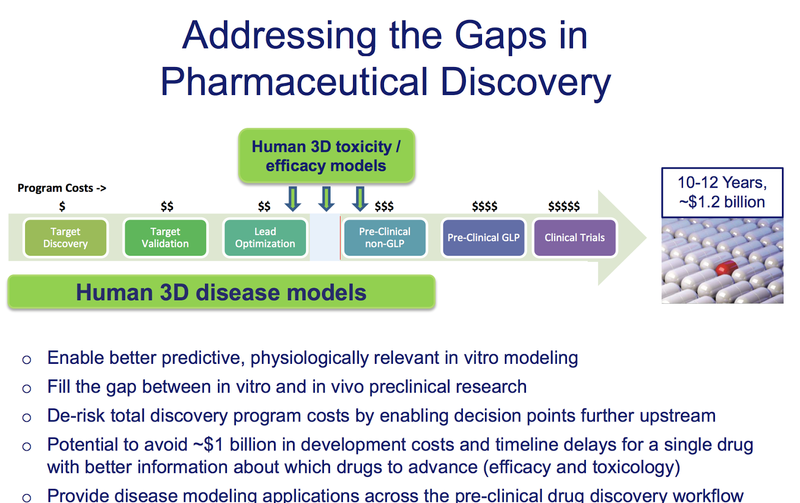 Partnering with biopharmaceutical companies and academic medical centers to design, build, and validate more predictive in vitro tissues for disease modeling and toxicology. 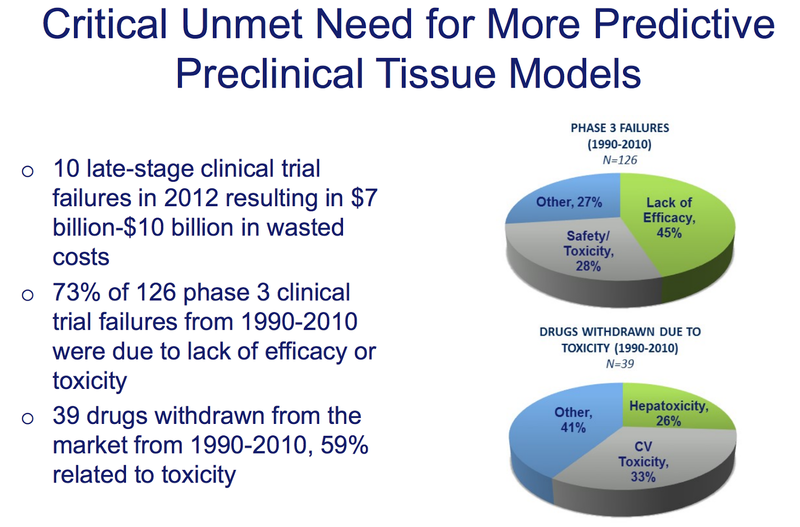 Giving researchers something they have never had before – the opportunity to test drugs on functional human tissues before ever administering the drug to a living person; bridging the gulf between preclinical testing and clinical trials. 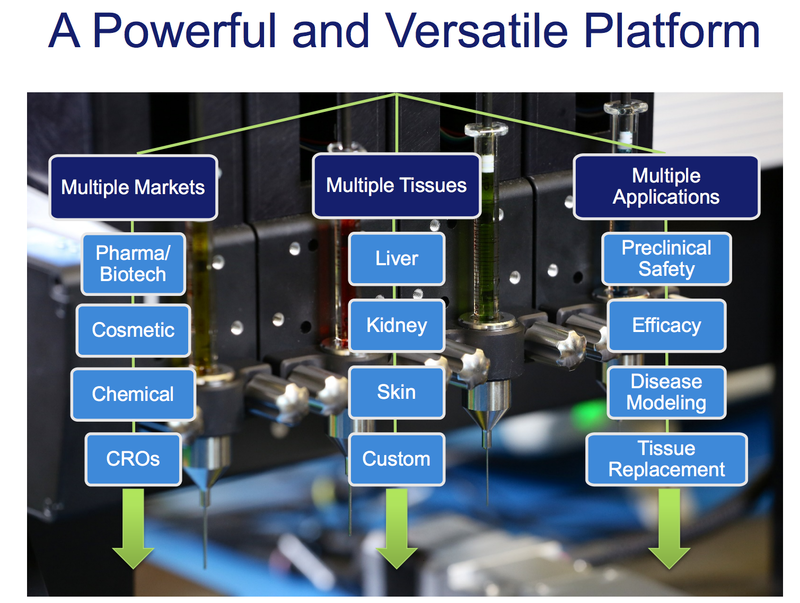 Creating functional, three-dimensional tissues that can be implanted or delivered into the human body to repair or replace damaged or diseased tissues. 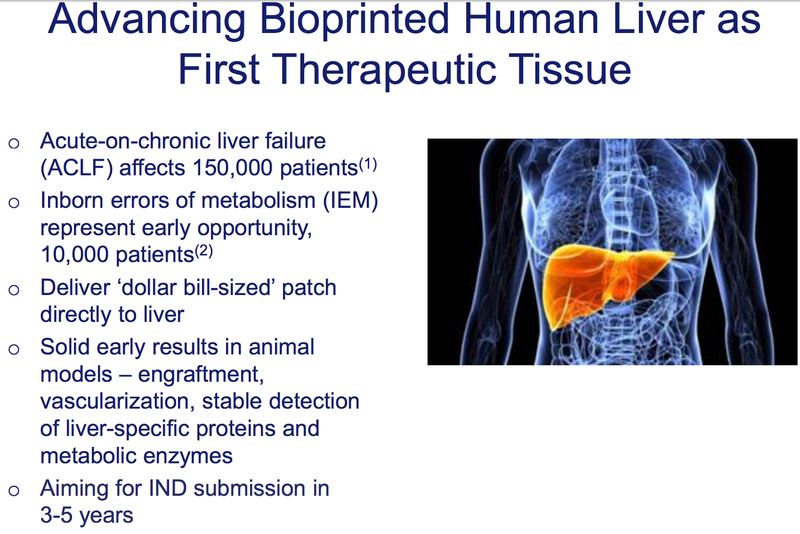 Organovo has advance work on bioprinting skin and liver and just started a partnership for kidneys. 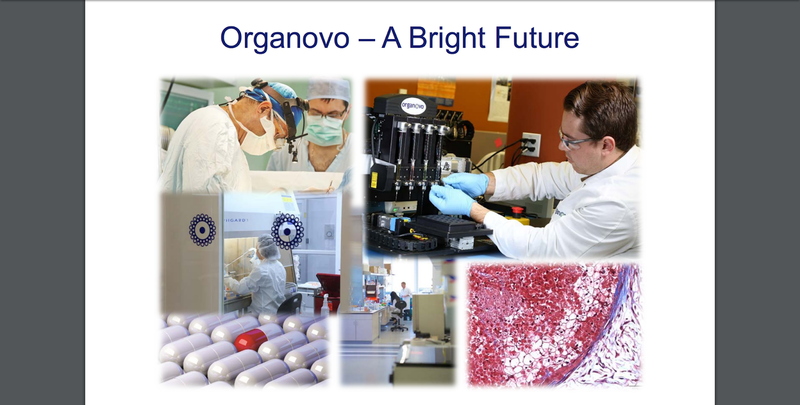 Organovo announced a collaboration with Professor Melissa Little and the Murdoch Childrens Research Institute, The Royal Children’s Hospital, Melbourne, Australia to develop an architecturally correct kidney for potential therapeutic applications. 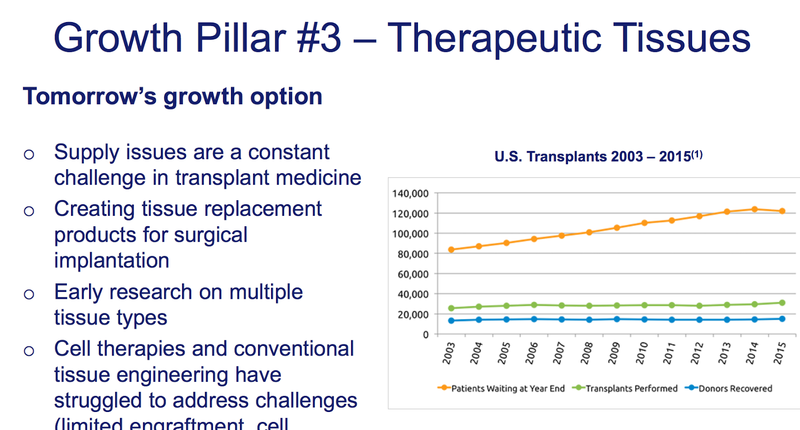 The collaboration has been made possible by a generous gift from the Methuselah Foundation (“Methuselah”) as part of its ongoing University 3D Bioprinter Program. 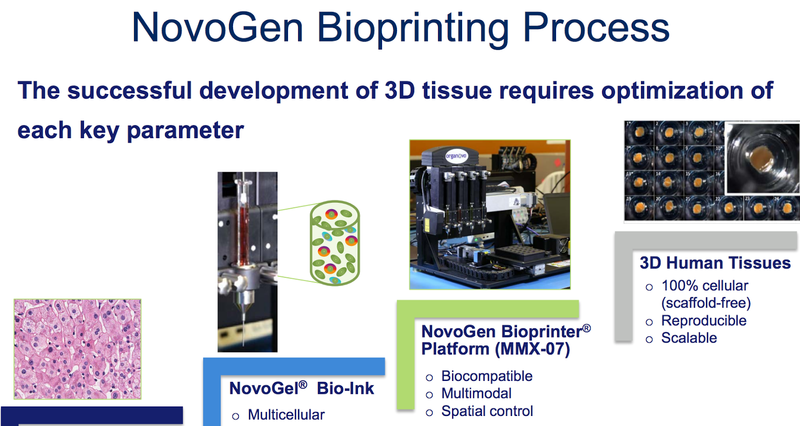 Under Methuselah Foundation’s University 3D Bioprinter Program, Methuselah is donating at least $500,000 in direct funding to be divided among several institutions for Organovo bioprinter research projects. 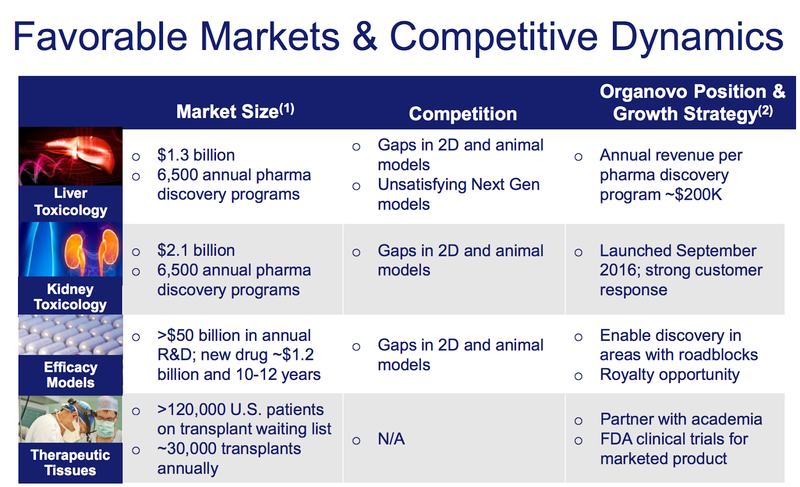 This funding will cover budgeted bioprinter costs and key aspects of project execution.